Dolls and figurines have been favorite pretend play toys for hundreds of years, but there are a lot more choices now than there were in the past! Today, dolls and action figures can represent historical figures; popular book, TV, and movie characters; or people from around the world. If you’ve been looking for a unique doll or exciting action figure for your Mighty Girl, you'll find dozens of our favorites in this post. From poseable dolls to cuddly plush toys to action figures, there's a new best friend awaiting every child! For more empowering dolls for all ages, you can browse our full collection of over 350 Dolls and Action Figures. For more girl-empowering toys of all varieties, including science, building, and arts & crafts, check out our 2015 Girl Empowerment Holiday Gift Guide and our 2015 Holiday Guide blog series. Instead of an ordinary doll, consider giving these Mighty Girl dolls instead! From role models from history to popular characters from movies and television, these dolls are sure to be a hit. 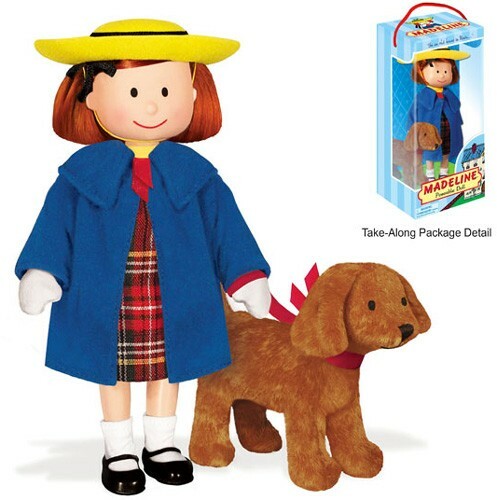 Fans of Ludwig Bemelmans' Madeline will adore this doll that stands 8 inches tall and comes with her loyal companion, a Genevieve soft toy.This beautiful poseable doll is wearing her classic blue coat, plaid dress, and yellow hat -- and she even has the appendectomy scar from her first adventure. She's sure to become a beloved friend. Adventurous and brave Anna from Frozen is a character to look up to — and now girls can play with her any time! This doll version of Anna is dressed in the satin dress Anna wears in the film, as well as some sturdy mountain-climbing boots, and her braided hair features her distinctive white streak. In the city of Kabul, orphans Shola and her sister Mehri are discovering a new future thanks to a circus school! 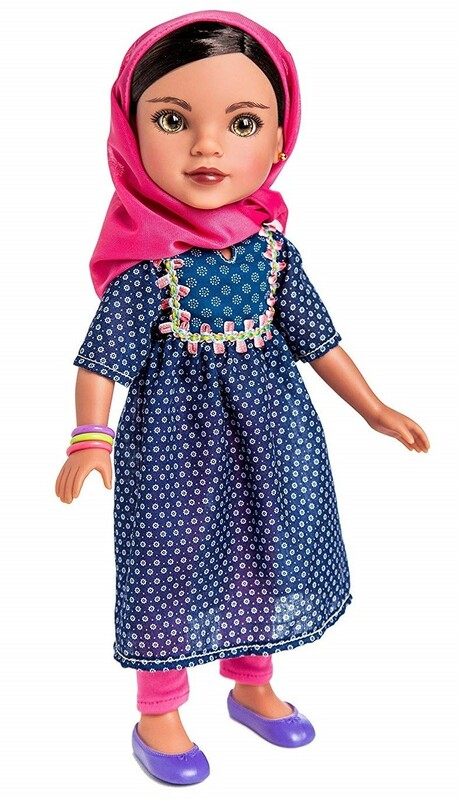 This beautiful 14" doll wears an outfit based on real day-to-day clothing worn by children in Afghanistan, and comes with a mini storybook about her life and how she is working to change the world. A portion of the proceeds from the purchase of this doll goes to support children's causes in Afghanistan. Who wouldn't want to be best friends with Pippi Longstocking? 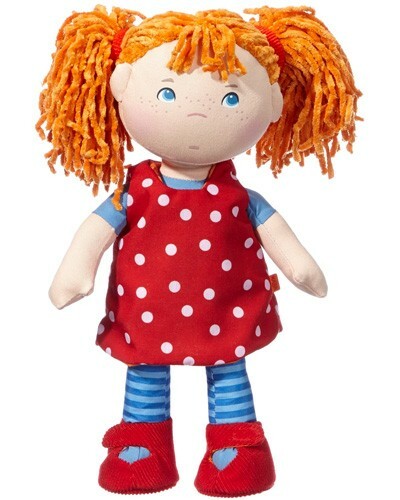 Now you can with this adorable 12" plush Pippi doll! You can also expand your Pippi collection with these accompanying Mr. Nilsson and Lilla Gubben plushes from Lundby. 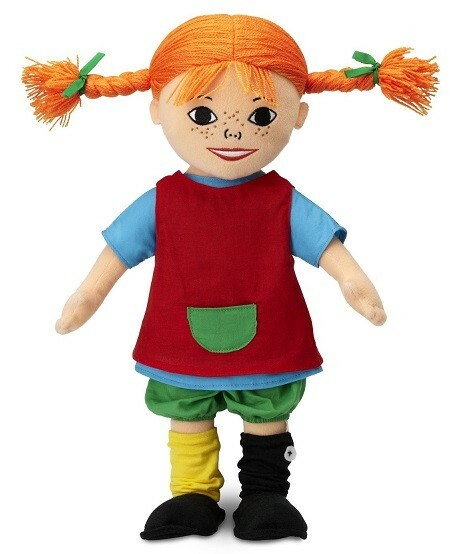 Or for a completely different Pippi, check out these 12" Pippi and a 6" Mr. Nilsson dolls. Whether they're based on figures from history, movie characters, or unique characters all their own, nothing beats these dolls for comfort and cuddles! These cuddly toys are the perfect first doll for toddlers! Each plush baby comes in her own "pod" — you can choose from a peanut, a pea pod, a bunny costume, or a bug costume. The mix of soft fabrics make them irresistible to touch, while the 10" size is just right for little hands. Plus, parents will appreciate that it's all surface washable so this doll can be a cherished friend for years. This is a doll with personality! 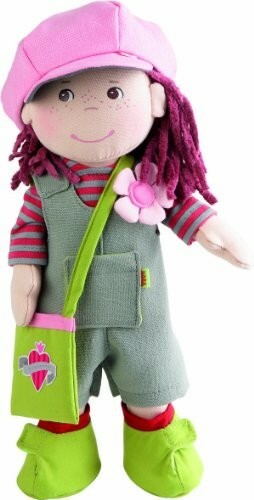 Elise has a padded body and cloth head, complete with cranberry chenille hair that's soft under little fingers. Her clothing and satchel are removable for dress-up play as kids get older, so kids won't outgrow her quickly! This 12" doll is sure to become a favorite companion. This red-headed, soft-bodied doll is just waiting to meet her new best friend. Kids will love the bright colors in Mette's polka-dotted dress, tights, and, of course, her soft curly hair! Haba designed this 12" doll to be safe for kids as young as 1 year of age, so that anyone can enjoy this cuddly doll. Before the adventures of Frozen, Anna and Elsa were little girls who adored one another! Kids will love these plush versions of toddler Elsa and Anna, complete with costume details that echo their adult outfits in the movie. 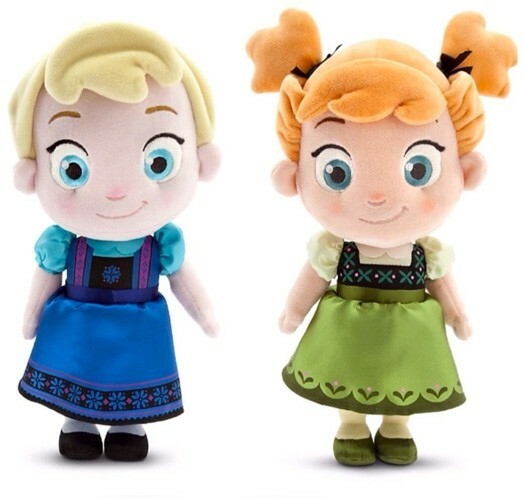 To get the dolls separately, check out the toddler Anna plush and toddler Elsa plush. If your child loves Frozen — and warm hugs! 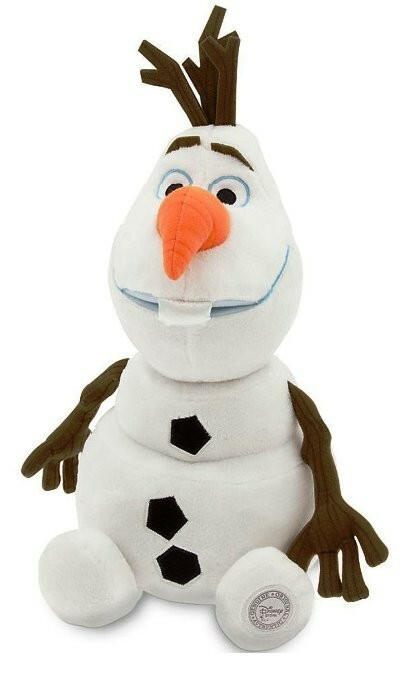 — she'll love this cuddly plush Olaf the snowman. This official Disney Store plush is 13" tall and features plush sculpturing and embroidered details, making it safe for toddlers and durable enough to hold up to all their adventures together. 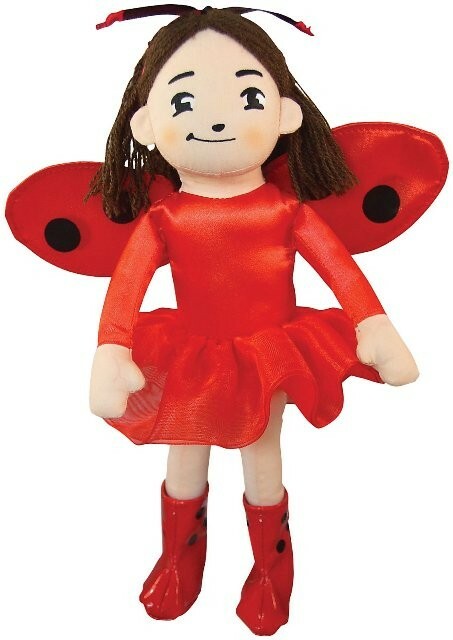 When Lulu is on the go, she transforms into Ladybug Girl — and now your little Ladybug Girl fan can have her join them on their own adventures! This 10" doll is just the right size for younger kids and is the perfect match for the book — even the expression is exactly like the illustrations in the book. Ian Falconer's busy little piggy is available in an adorable plush! This Olivia doll is dressed in her classic dress (red, of course) and striped tights, both of which are removable for dress-up fun. 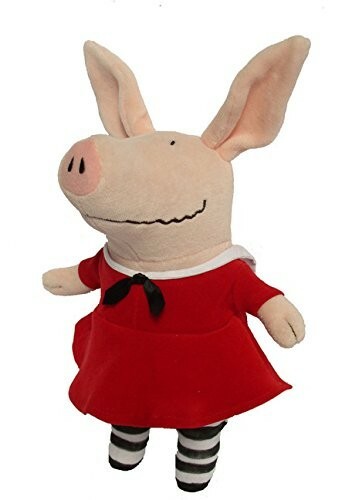 This 11" plush is sure to be a favorite for any fan of the books. You can find other products featuring this popular character in our Olivia Collection. Does she dream of meeting My Neighbor Totoro on one of her adventures in the woods? 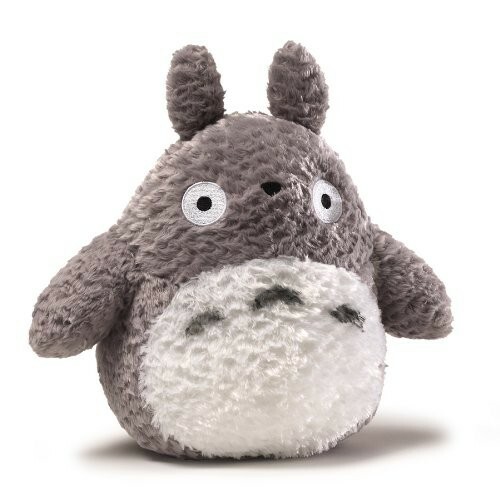 Then she'll love this 13" officially licensed Totoro plush from GUND! This cuddly and squishy plush is the perfect match for the friendly forest spirit from the movie. For a little extra fun, pair it with this Catbus plush, also for age 3 and up. 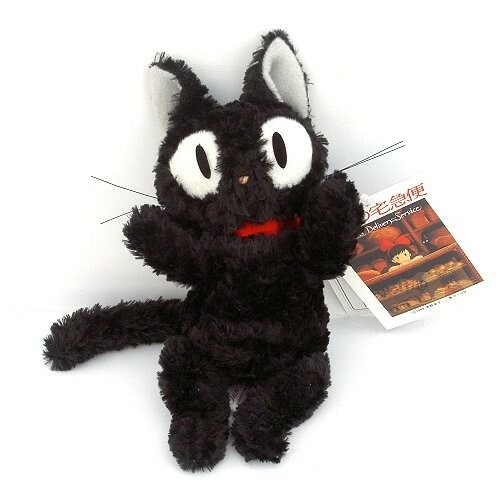 Kiki's devoted cat friend Jiji from Kiki's Delivery Service is now available in the perfect little beanie plush! This officially licensed 6.5 inch beanie is beautifully soft, and fans of the film will love having Jiji's big eyes watching over them. If you'd rather a standard plush, you can get this 8" plush Jiji, which is suitable for ages 3 and up. A small package can still mean big fun ahead! Whether you're getting them for display or play, these small figures will provide countless hours of play. If she has horses, she needs a vet to take care of them! This 8" vet doll is in scale with Breyer's traditional horses and comes with a vet bag, several vet tools, and a tub of medicine. She's fully articulated for plenty of fun, and she's accurate enough that she's been recognized by the American Association of Equine Practitioners. Budding vets and horse lovers will be thrilled to add her to their collection. It's rare to find a dollhouse family this high quality or one that features diverse faces. 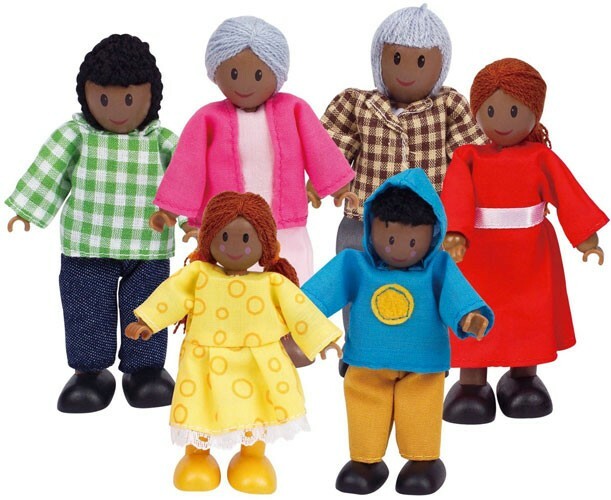 This set from Hape includes grandparents, parents, and a brother and sister, all wearing casual fashions and ready to make themselves at home. Parents will also love that these toys are made with Forest Stewardship Council-certified wood. You can also check out Hape's Asian Dollhouse Family for another option to add diversity to your dollhouse. This super-sized wooden dollhouse includes four figures and 130 different magnetic accessories! 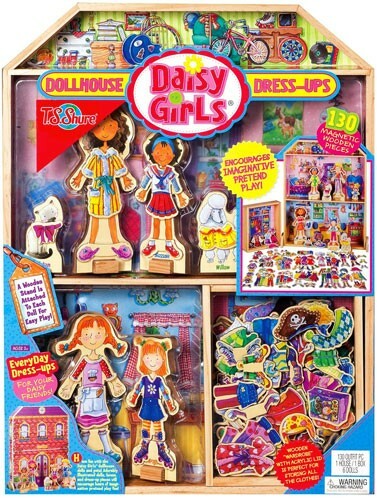 Each doll has outfits for a wide range of activities, multiple occasions, seasons, pets, and other fun accessories. The dollhouse acts as a backdrop while you're at play, and an included storage box keeps things neat when it's time to put it away. 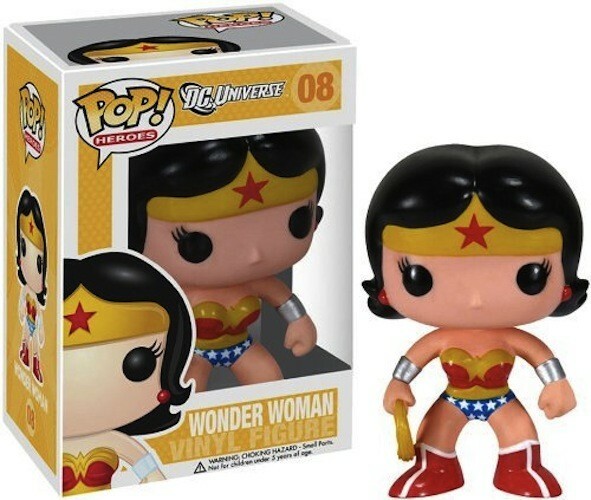 The world's most popular female superhero gets Funko's stylized POP! Vinyl treatment with this great figure! These 3 3/4" figures are just right for display; this one looks particularly striking with Wonder Woman's bold costume design. It's perfect to inspire any superhero fan or would-be Wonder Woman. A common complaint with LEGO is the comparative rarity of female figures, and this set changes that! 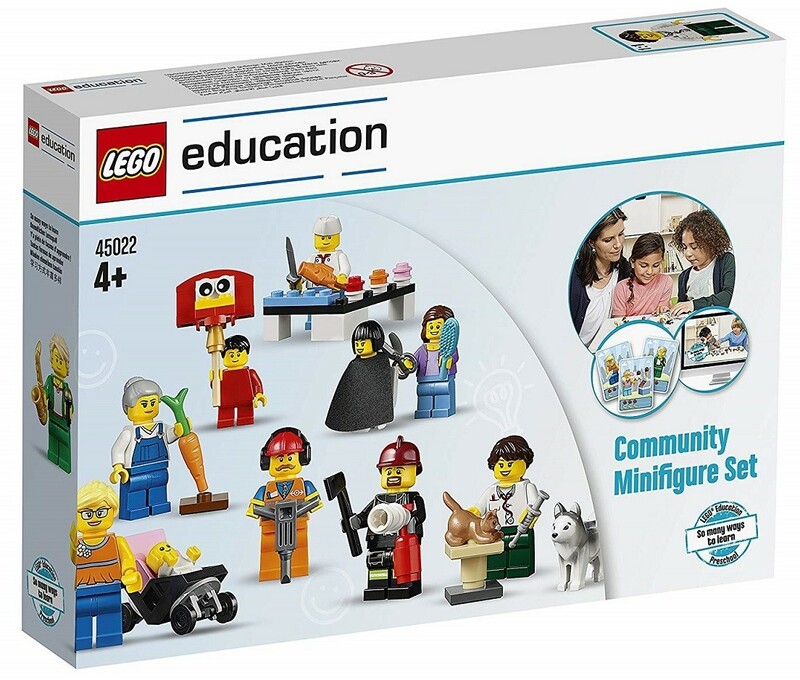 This 256-piece set allows you to build 22 multicultural figures, with an equal split between male and female. With women represented as computer programmers, firefighters, cyclists, and race car drivers, this adds much-needed diversity to the LEGO bin. For younger builders, check out the DUPLO World People Set for age 2 - 5. 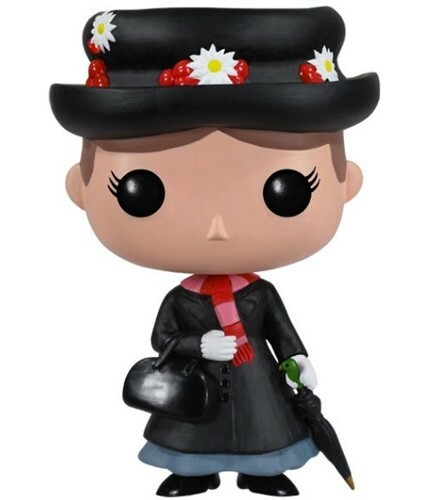 Get ready for some amazing adventures with this stylized version of Mary Poppins. This figure shows the mysterious and magical nanny with her umbrella and carpet bag. At 3 3/4" tall, she's just the right size for display on a desk or shelf. Now you just have to practice your supercalifragilisticexpialidocious! 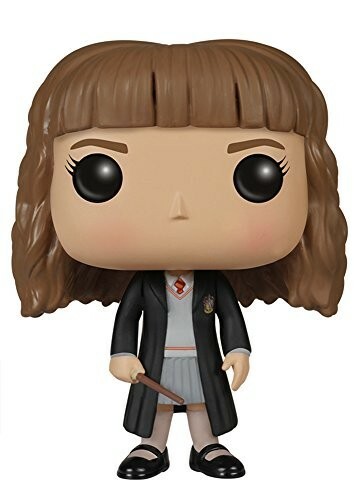 The smartest witch of her age is perfect as one of Funko's POP! Vinyl figures! This 3 3/4" figure appears with wand in hand and a determined look in her eye, ready to combat the Death Eaters and save the day. For more products featuring this popular character, visit our Hermione Granger Collection. This vet is ready to care for the Breyer horses — and any other animals that need a hand! 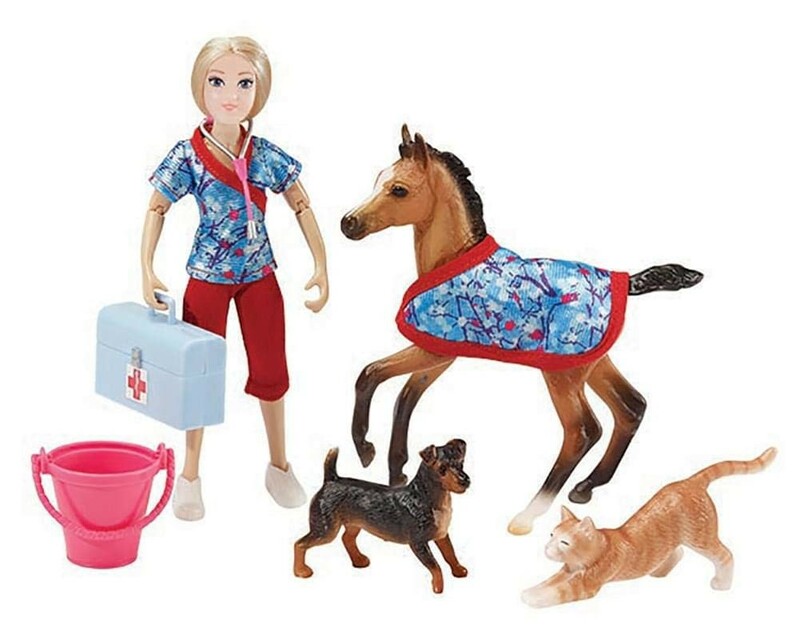 This set comes with a 6" fully articulated vet figure, as well as a foal with removable blanket, a friendly cat and dog, and a set of vets tools. This 1:12 scale vet is proportioned to go along with Breyer's Classic line of horses. 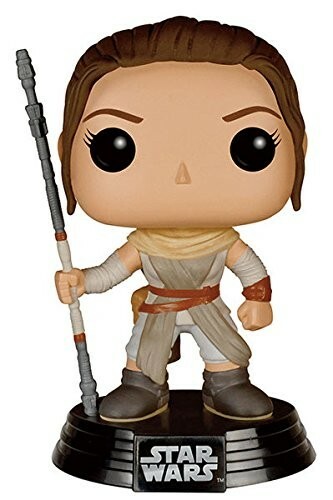 Just in time for the release of Star Wars VII: The Force Awakens, Rey appears as a POP! Vinyl. This resilient survivor has been hardened by a lifetime of struggles on the desert world of Jakku, but her life is about to change forever... This 3 3/4" figure stands on a Star Wars pedestal, perfect for an addition to your Star Wars collection. Fans of Rey can find her in LEGO form in the Rey's Speeder set for ages 7 - 12. 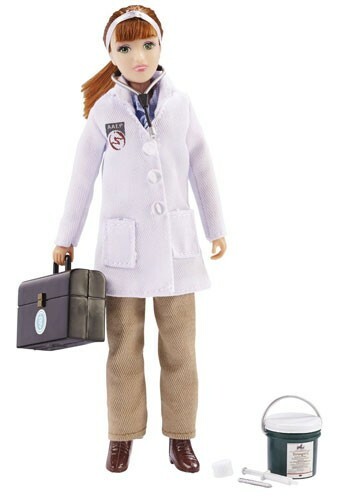 The icon of feminist empowerment gets a suitably impressive action figure! This 5 1/4" articulated figure is modeled after the Rosie of the inspirational World War II poster and comes in an illustrated window box. 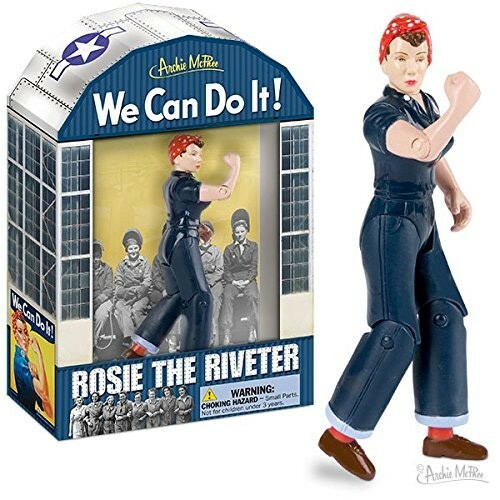 Fans of Rosie can find more products featuring her in our Rosie the Riveter Collection. This adventurous Nez Perce girl is just waiting to play with you! 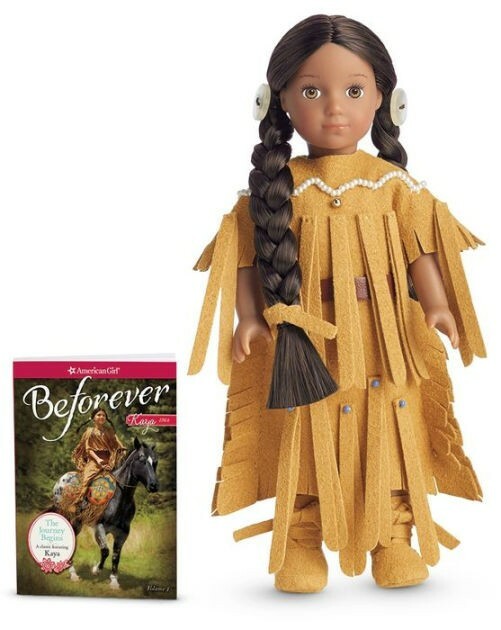 This 6.5" version of the Kaya doll comes with a 3-inch abridged version of her Beforever story and comes in a gift box. The long popular mini dolls got a reissue in 2014, so this Kaya matches the currently available Kaya doll, and, as always, features American Girl's high quality manufacture. Female fans of the hit video game Minecraft were thrilled when Mojang recognized that girls play games too and added Alex, a female avatar, to the game. Now, you can get this action figure of Alex to join in offline play! 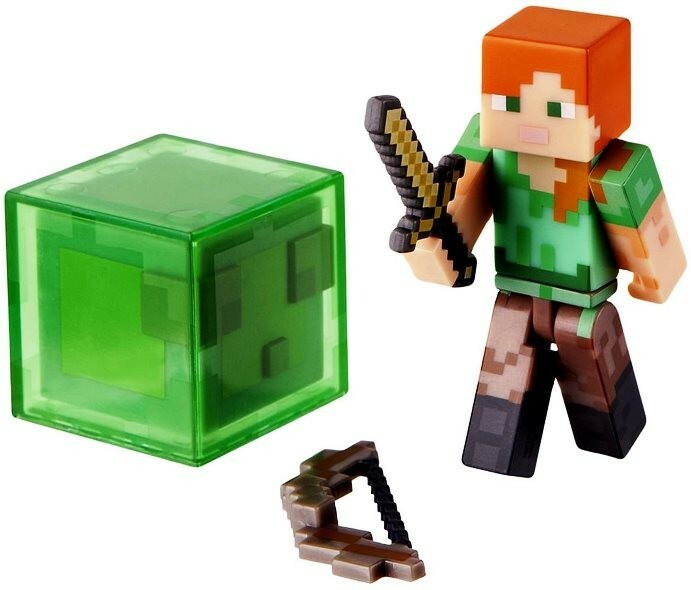 This durable, articulated figure is 2.75" tall and comes with a wooden sword, a bow, and a Slime mob to battle. Fans of Alex will also find her in the LEGO Minecraft: The Nether Fortress set for age 8 and up. For a diverse selection of more empowering dolls, visit our full Dolls & Action Figures Collection. Fans of the Funko POP! Vinyls should check out our full Funko Collection for more options to add to their own collection. For more great gift ideas, visit our Girl Empowerment Holiday Gift Guide and our 2015 Holiday Guide blog series.